Alexa and Kristin had been telling me for months that I needed to watch Your Name (see trailer), so when Kristin kindly offered to host a movie afternoon at her apartment, we decided to make a day of it. 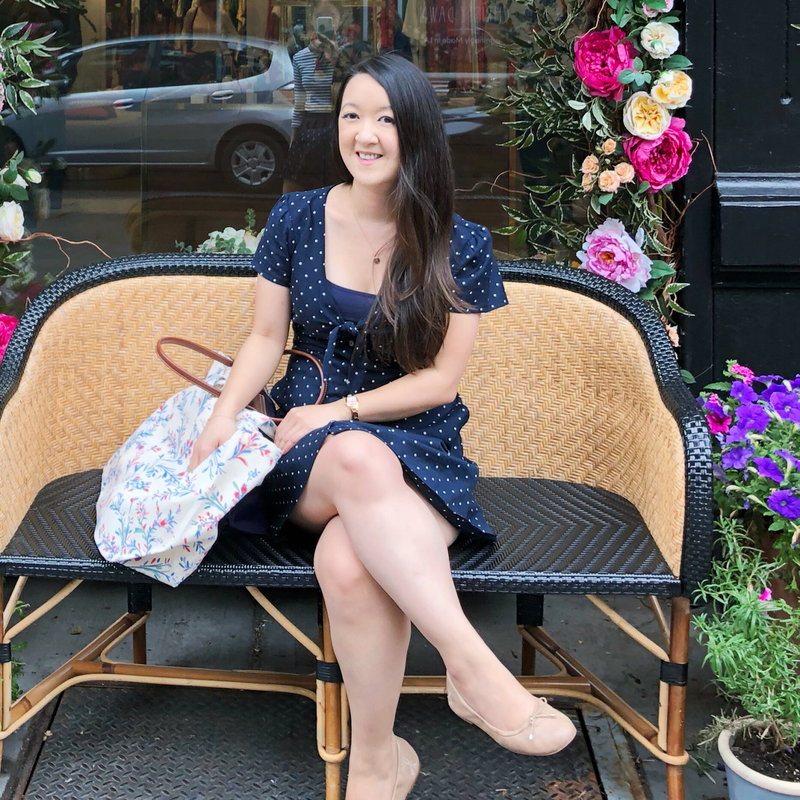 We went to Golden Unicorn Restaurant for dim sum, which was just as good as I had hoped. 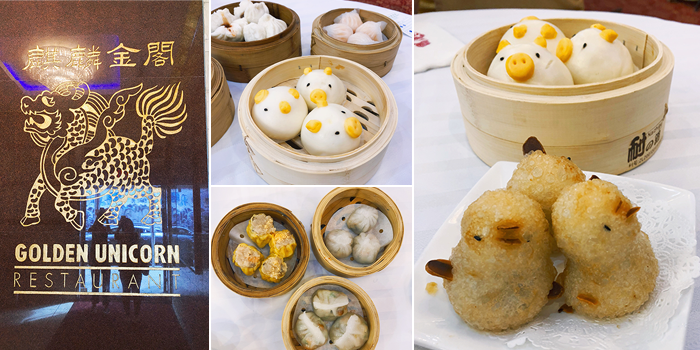 The food was delicious and their dim sum, particularly their custard piggies and sesame balls in the shape of birds, were adorable. We lucked out with getting a table right away and the service was surprisingly not intense (if you go to dim sum a lot, you know what I mean) but I expected there to be a lot more variety in their dishes. But it worked out because we needed the extra room anyway for ice cream! 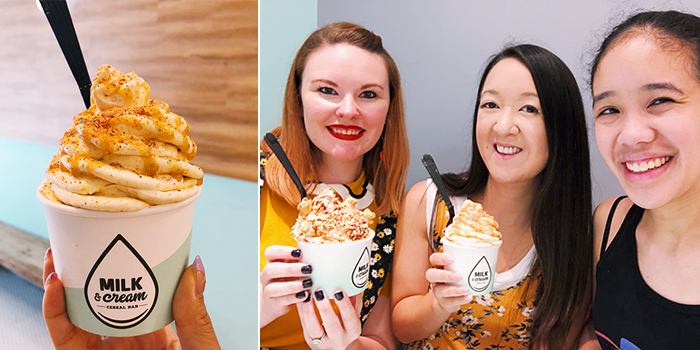 We went to Milk and Cream Cereal Bar and walked around a bit before settling in to the watch the movie. And wow, I don't often watch contemporary anime shows or movies but this was so beautifully done. The imagery and music were perfect. The story is moving and thought-provoking. Just writing about it makes me want to watch it again. Even if you've never watched anime before, I'd highly recommend seeing it. But seriously, how cute is this dim sum? I'd been wanting to go back here and I got my wish! I'd never attended the Boston Teen Author Festival before but when Alexa and I saw Adrienne Young, author of Sky in the Deep (one of my favorite books this year! ), we immediately made plans to go. It ended up being a super packed trip since we left right after work and went home right after the festival but it was well worth it! We got to see authors we loved, meet up with DJ and get in a teeny tiny bit of sight-seeing. 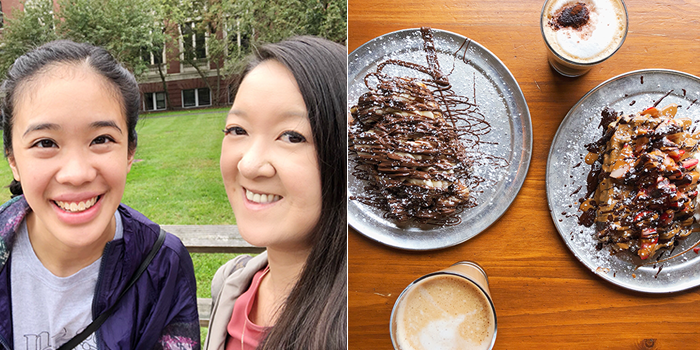 We started off the day with Belgian waffles at Zinneken's (highly recommend) before making our way over to Cambridge Public Library, where the event was held. Everything was so organized and welcoming! 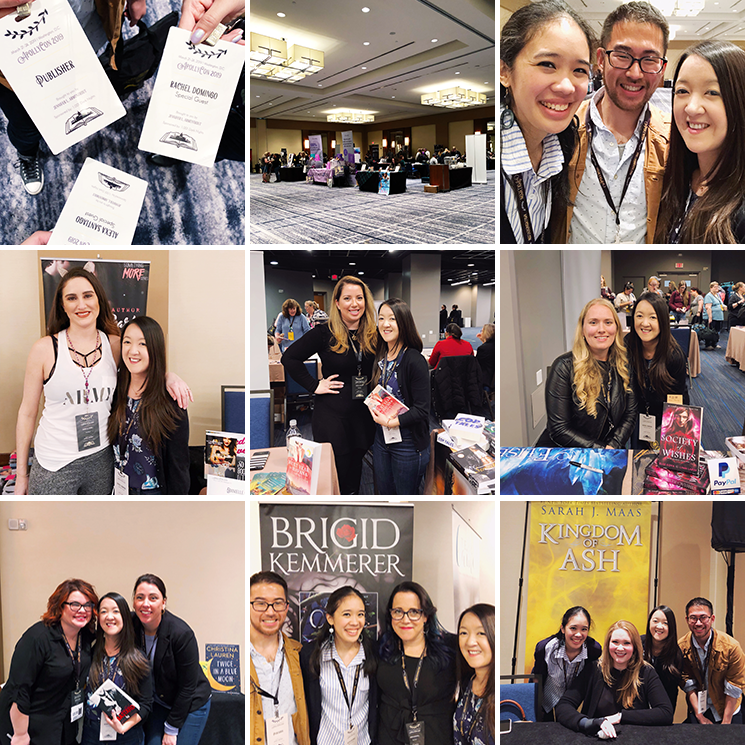 We bought a couple books, took pictures and made our way to the first panel to see Katie Cotugno moderate and discuss complex sibling relationships with Holly Black, S. Jae-Jones, Ashley Woodfolk, and Gloria Chao. I really enjoyed listening to them speak and I'm really curious about their books now (I've only read Holly's and obviously, Katie's). We met up with DJ there, tried to go to another panel and failed so we grabbed lunch instead. 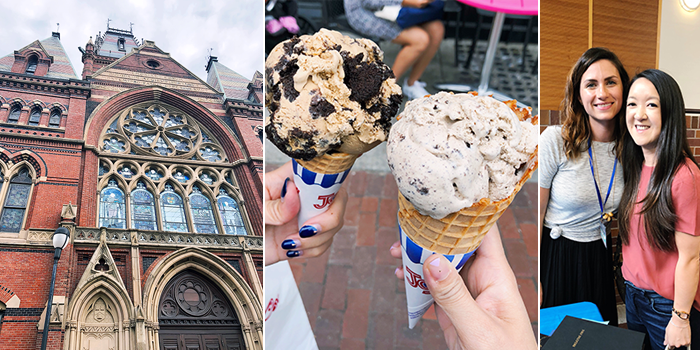 Then Alexa and I went off to get ice cream at JP Lick's (of course), stop by Harvard Book Store (of course x2) and I bought myself a Harvard t-shirt. (I like buying college tees, ok?) But we eventually made our way back to meet up with DJ again to listen to the panel Adrienne Young was on and go to the signing. At the signing, I got to meet two authors I've never had the pleasure of seeing in person -- Adrienne Young and Mary E. Pearson! I never know what to say so it was a lot of fangirling and "omg I love your book" which is all very true. They were both lovely and I'm really happy to have my books signed by them! Those Belgian waffles were delicious. 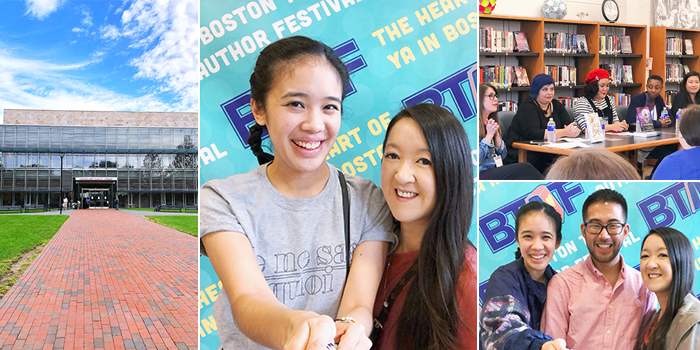 Boston Teen Author Festival fun! Exploring Cambridge, getting ice cream and meeting Adrienne!